Patient-specific factors can alter the pharmacokinetic disposition of valproic acid. Specifically, the free fraction of valproic acid can increase substantially in patients with hypoalbuminemia or as serum drug concentrations rise due to saturable protein binding. Direct measurement of free serum drug concentrations allows for accurate assessment of drug levels, but the assay may not be readily available in all institutions. The effect of hypoalbuminemia on free fraction has been quantified and serves as the basis of an equation used to “correct” measured total valproic acid concentrations. The aim of this study was to evaluate the accuracy of the equation. This retrospective study included adult patients with measurable free and total valproic acid concentrations between July 2014 and June 2017. The primary aim was to assess the relationship between measured and predicted free valproic acid concentrations. Free levels were categorized as subtherapeutic, therapeutic, or supratherapeutic based on the reference range of 7–23 mg/L. Concordance was defined as measured and predicted concentrations falling within the same category. The analysis included 174 patients with a median age of 58 years and a median albumin of 3 g/dL. The majority of patients were hospitalized (88.5%). Concordance occurred in 56.9% of samples. A Spearman’s correlation coefficient of 0.60 (p < 0.001) was found between the measured and predicted free valproic acid concentrations. Concordance of concentrations was 42% for ICU patients, 63% for floor patients, and 65% for outpatients. Of those with discordant concentrations, 97% of the predicted concentrations underestimated the measured concentrations. There is discordance between predicted and measured free serum valproic acid concentrations when using the proposed equation. Because of the potential impact of underestimation and variability of free valproic acid concentrations, a measured free level is the ideal option for therapeutic drug monitoring of valproic acid. The online version of this article ( https://doi.org/10.1007/s12028-018-0627-4) contains supplementary material, which is available to authorized users. AD, RN, NB, LB, ZC contributed to study concept and design; AD and NO involved in acquisition of data; AD, EW, RN took part in analysis and interpretation of data; AD, EW, RN, NO, NB contributed to drafting the manuscript; AD, EW, RN, LB, NB, ZC involved in critical revision of the manuscript for important intellectual content; AD, EW, RN, NO, LB, NB, ZC involved in the final approval of version to be published; all authors read and approved the final manuscript. 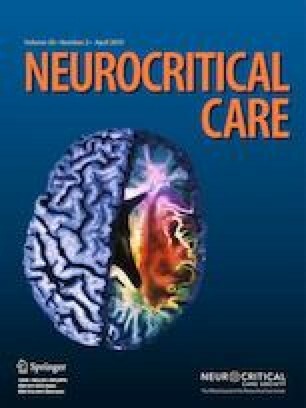 All authors meet criteria for authorship as recommended by Neurocritical Care and were fully responsible for all content and editorial decisions and were involved in all stages of manuscript development. Valproic Acid, Free and Total [Internet]. Laboratory Test Directory. [cited 2018 Aug 23] http://ltd.aruplab.com/Tests/Pub/0099310.